Greatness is thrust upon Britain’s Prince Albert after his brother abdicates and he is forced to ascend the throne as King George VI. He is not a natural for the role being timid, low in self-confidence and suffering from a debilitating stammer. 1936 was a critical time in Europe, threatened by the ambitions of Hitler and Mussolini, and Britain needed a strong, clear voice. The Queen Mother astutely hired Lionel Logue, an Australian actor and speech therapist, to help the King overcome his stammer. The film is the moving story of the relationship between these two men, a deep and often hilarious friendship. 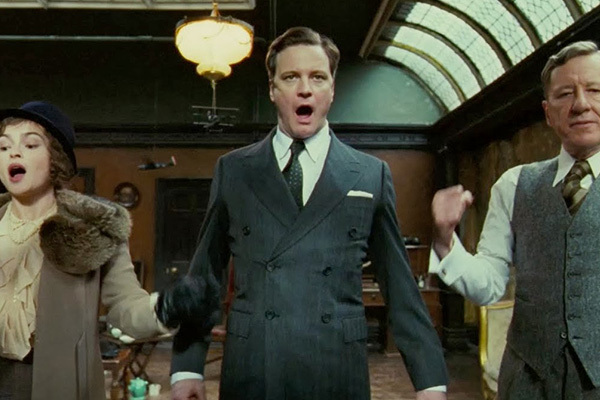 It is a superb film, a winner of a best picture Oscar and best actor for an extraordinary Colin Firth as the King. Directed by Tom Hooper with Geoffrey Rush as the speech therapist and Helena Bonham Carter and Guy Pearce.